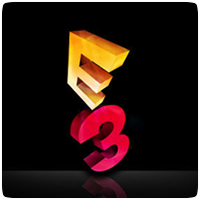 The Entertainment Software Association (or ESA) have renewed their partnership with Los Angeles to host the Electronic Entertainment Expo (E3) until at least 2015. The LA Convention Center will continue to be the main location for E3, but other locations in and around LA will also be used. We are proud to partner with Los Angeles for another three years. The City serves as a strong backdrop for the video game industry’s biggest announcements. Video games are a dominant force in the global entertainment marketplace and there is no better place to display that than Los Angeles. E3 2013 will take place June 11th – 13th. Before the renewal, there was speculation that E3 could move elsewhere in the US, with Las Vegas, New York and Chicago as possible location.